Home / author Khanh Ha / Flesh by Khanh Ha / Khanh Ha / Interview with Khanh Ha, author of "Flesh"
Interview with Khanh Ha, author of "Flesh"
Q: Welcome to The Writer's Life, Khanh. Can you tell us a little bit about yourself and how long you’ve been writing? A: I’m a husband and a father of two sons. I wrote my first short story when I was a young teen. I won a magazine’s short story contest with that piece and was the youngest among the guests to accept the prize. Between seventh and tenth grades, I wrote a lot of short stories, each of them paying good money. I also translated stories in English into Vietnamese and sold them to newspapers and periodicals. As for how long I’ve been writing: four years as a teen amateur, and a decade as a serious writer. A: From the jacket flap, it reads like this: Set in Tonkin (now northern Vietnam) at the turn of the 20th century, Flesh tells the story of a boy who witnesses the execution, by beheading, of his father, a notorious bandit, and sets out to recover his father’s head, and then find the man who betrayed his father to the authorities. A coming-of-age story of brutal self-awakening and also a tender love story, Flesh takes the reader into places, both dark and wonderful, in the human condition where allies are not always your friends, true love hurts, and your worst enemy can bring you the most solace. Flesh started with an image that was formed in my mind after I read a book called War and Peace in Hanoi and Tonkin, which was written by a French military doctor. In one chapter he depicted an execution by capital punishment. The scene took place on a wasteland outside Hanoi. This bandit was beheaded for his crime while the onlookers, some being his relatives with children, watched in muted fascination and horror. While reading it, I imagined a boy—his son—was witnessing the decapitation of his father by the hand of the executioner. I pictured him and his mother as they collected the body without the head which the government would display at the entrance of the village his father had looted. I thought what if the boy later set out to steal the head so he could give his father an honorable burial. What if he got his hand on the executioner’s sabre and used it to kill the man who betrayed his father for a large bounty. I took time to research for the setting that took place at the turn of the 20th century. Indeed much research was done before I felt dead sure about writing it. That was how Flesh was conceived. A: Finding the voice―the author’s true voice. Writers have influences on one another. But when you have found your own voice, then nothing can take it away from you. When you have your own voice, you are now a mature writer. Somewhere in the early going with Flesh, I found my own voice—the author’s voice. I never looked back after that. A: I don’t have a media kit. During the recent virtual book tours, I sent by request the following information: biography, novel’s synopsis, author photo, book cover art, author website, author blog, review sites such as Goodreads. A: The book tours for Flesh are virtual book tours. 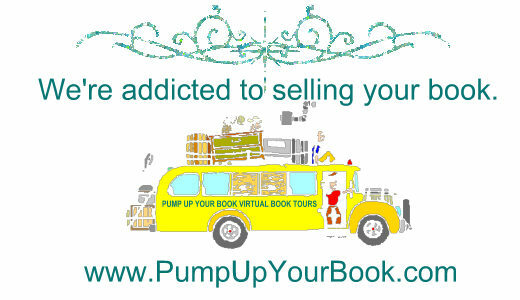 These tours feature book reviews, author interviews, guest postings, and book giveaways. My plan to promote Flesh is to continue giving it exposure so that people know about it. Hopefully good reviews and word of mouth will give it life. A: I had agents (New York-based and California-based) but the shopping around for an interested publisher had taken longer than expected and also none of my agents was willing to try independent publishers. At one point I took the manuscript and shopped it with the small literary presses. In my first solo round, Black Heron Press acquired Flesh. Is it necessary to have an agent? It is. But keep an eye on the submission progress. It doesn’t matter who represents you. If it takes unreasonably long, do something. Most agents tend to lose enthusiasm when their patience has been tested. Don’t believe in agent’s myth. They are human. A: We promote Flesh through virtual book tours and our distributor handles the booksellers, wholesalers and libraries. A: I have completed my next novel and am giving myself time to distance from it before revision. But what has taken up most of my time since then is researching the materials for my next novel. Q: Thank you for your interview, Khanh. Would you like to tell my readers where they can find you on the web and how everyone can buy your book? You can always buy Flesh at Amazon, Barnes & Noble, Black Heron Press, Midpoint Trade Books, Powell’s Books, Indie Bound. thanks a lot! keep writing herefor your readers!